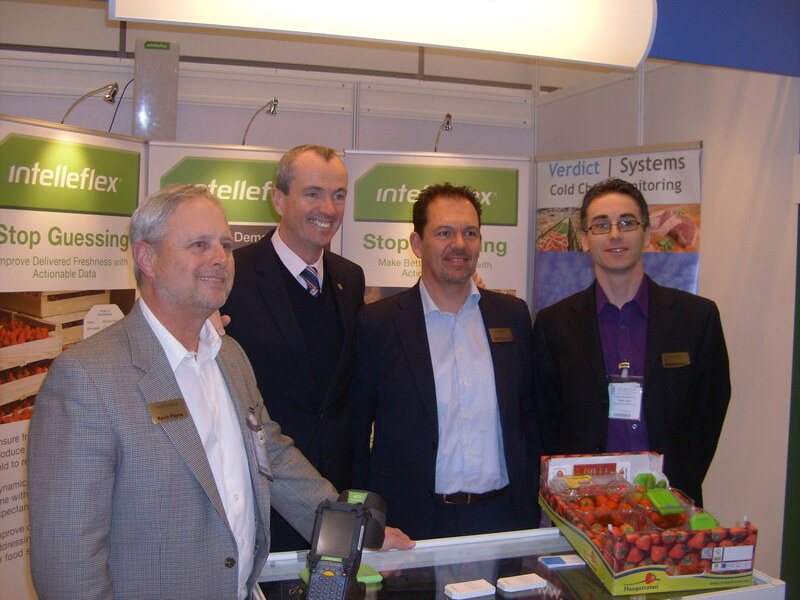 It was a special day at the Intelleflex stand at Fruit Logistica as Philip Murphy, the US Ambassador to Germany came by to greet the team. The Ambassador was touring the US Pavilion at the show. Tens of thousands of people are at the show which concludes on Friday. This entry was posted in Uncategorized and tagged Fruit Logistica, Philip Murphy. Bookmark the permalink.